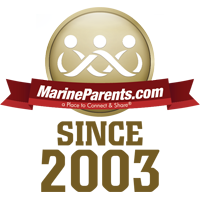 The mission of MarineParents.com, Inc., is to provide support, information, and services to Marines and their family members, and create opportunities for the public to support our troops through the organization's outreach programs. Learn more about how you can support our troops through OPSEC in our first article. In our other articles, meet a volunteer and a Team Marine Parents participant, learn how you can connect and share with other Marine families, and how you can support our troops and veterans. OPSEC (Operations Security) is keeping potential adversaries from discovering critical Department of Defense information. As the name suggests, it protects U.S. operations — planned, in progress and those completed. Success depends on secrecy and surprise, so the military can accomplish the mission more quickly and with less risk. Enemies of freedom want this information, and they are not just after the military member to get it. They want you, the family member. Ellen volunteers as the as the Company Leader for Echo Company, Parris Island. She likes being able to help other recruit family members understand what their recruits will be experiencing at boot camp and how they can support their recruits through their 13 week journey. 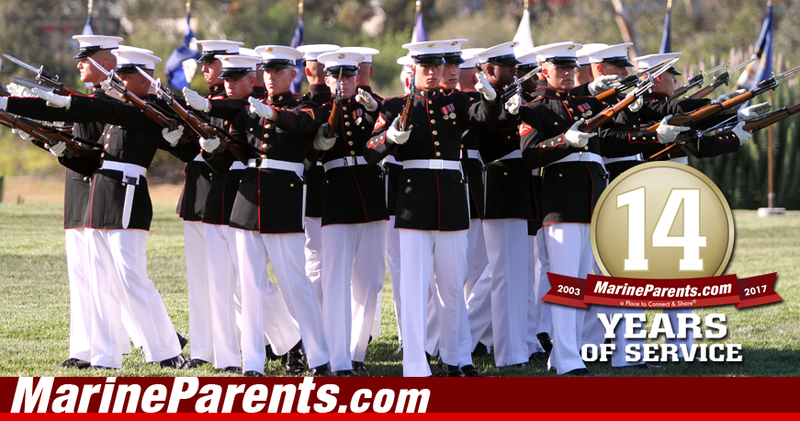 Ellen is incredibly proud of her son and his decision to become a Marine. 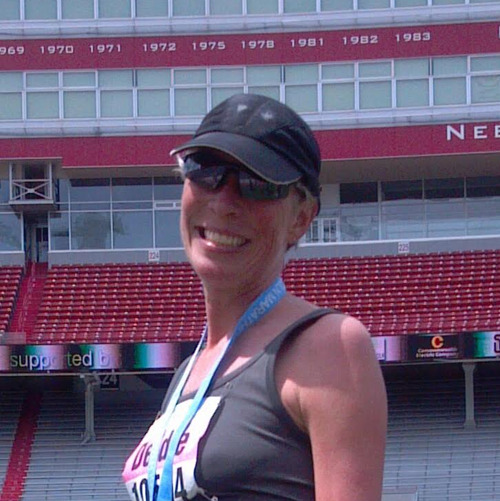 This week's featured runner is Deidre Gold-Garrett. She says, "I became a proud MoM (Mom of Marine) in October 2016; my son graduated from boot camp in San Diego. I am excited to be able to give back as a token of appreciation for all of the dedicated, courageous and brave women and men that are willing to fight for our country, lives and freedoms. It is MY honor and privilege to be able to call one of them my SON!" 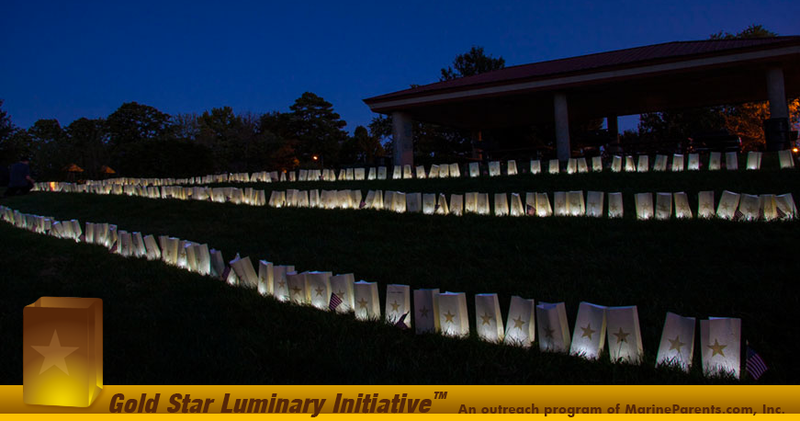 Deidre has raised $170 for the outreach programs of MarineParents.com, Inc.
Marine Corps Martial Arts Program (MCMAP). 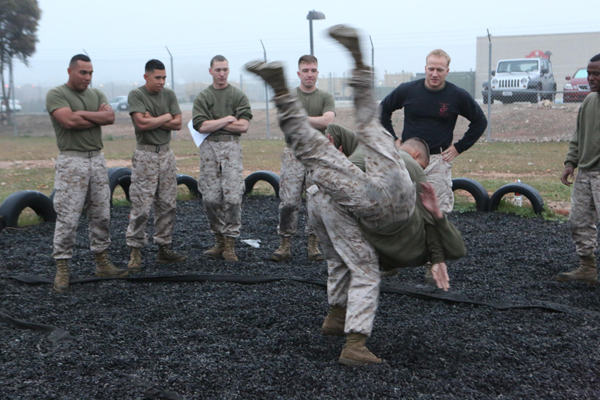 The Marine Corps Martial Arts Program incorporates warrior ethos training with focuses on past warriors of world history, such as the Spartans, Zulu and Apache warriors, and the Marine Raiders from World War II. Studying these warriors and their tactics, Marines learn basic fundamentals of the past to connect with during the present. 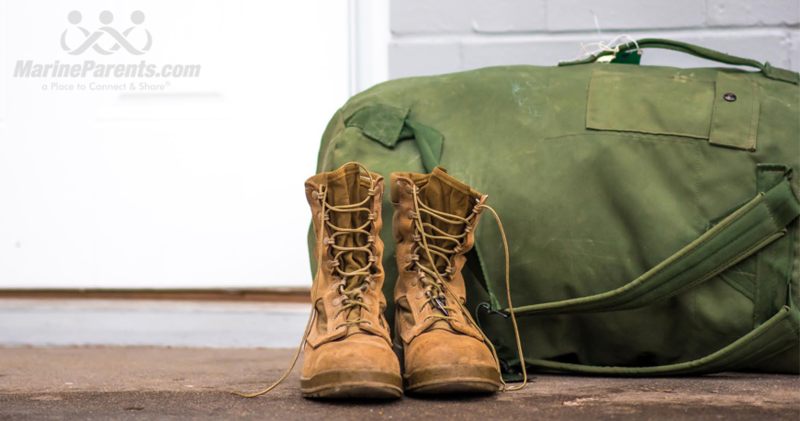 We here at Marine Parents have recently noticed a lot of our users in the Facebook groups using the phrase, "boots in the house" when their Marine is home. While this may seem like a sweet congratulations for your newly graduated Marine, there is actually a less ideal meaning to this phrase.